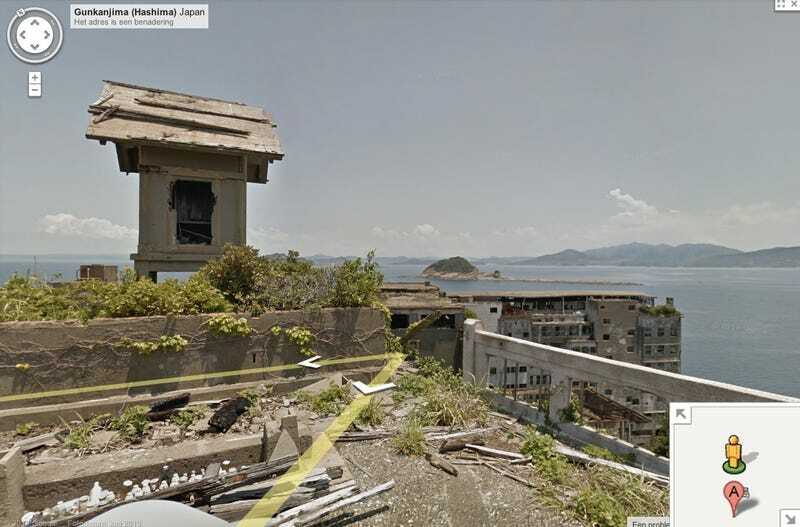 Located off the coast of Nagasaki, the long-abandoned Hashima Island (also known as "Gunkanjima" or "Battleship Island") was the inspiration for Raoul Silva's lair in Skyfall. Now, thanks to Google Maps, you can visit the island on Street View. Mitsubishi used Hashima Island as a coal mining facility; the inhabitants of the large concrete apartment buildings retrieved coal from underwater mines. But as Japan moved from coal to petroleum for its energy needs, coal mines began to close, and Mitsubishi announced the closing of the Hashima Island mines in 1974. The workers left the island, leaving the buildings to crumble.